How to plant spruce from cuttings? Cultivation of any spruce, not just blue,It begins with harvesting seeds. 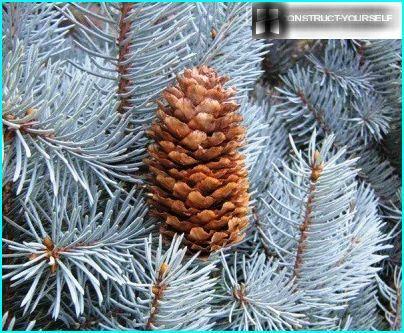 In late summer, keep an eye in advance suitable blue spruce, the color and the shape of which you most like. Check that the tree buds formed. If they are - wait for the November cold snap in the first decade of the month Narva as many cones from selected plants. The more seeds you will have - the more likely to grow blue copy. Only 30-40% of young firs, which germinatedfrom a single tree will have the exact color as their "ancestor". The rest can be blue-green, and the green at all like normal eating. This is the problem of seed propagation, in which the parent plant traits inherited much less than the propagation by cuttings. You can collect and February, when the fall of late. But then it will be necessary to plant at the end of June. And this option is only suitable for areas with cool summers. In the heat of the seeds are burned on the temperature. The hardest - climb a tree, because the bumpsgrowing on top of the crown. Tear only dense, fully sealed bumps. You can, of course, look at the trees, but finding unopened copy will be difficult. The collected material carry a warm room, wherebumps will ripen, to open up and give your seeds. In nurseries disclosure lumps takes place a couple of days, as they are placed in a hopper with a temperature of 40-42 degrees and held there until the flakes do not unfold. But in a similar climate to recreate the apartment complex, and is not necessary. It is enough to put bumps in narrow cardboard box and put it on a radiator. Who does not have batteries - put on floor heatingor take them to the kitchen and hide at the top of the highest locker. Under the ceiling temperature is always higher so the ripening process will go faster. During drying, you will hear the crackle of the flakes. When the bump is fully revealed, shake out the seeds, knocking "nose" on a hard surface. And, you can not collect seeds, and purchasenursery. But choose a proven company, as the seeds can be slow-moving, kept in storage for many years, and the percentage of germination is poor. The best option - 1-2-year-old seeds. Under natural conditions, the cones on spruce disclosedby January. Seeds scatter to the wind, to put down roots in new places. By April they lie under the snow and tested hardening process called stratification. Under the conditions of the house you have to ensure similar seed hardening plants to climb up together and have good immunity. 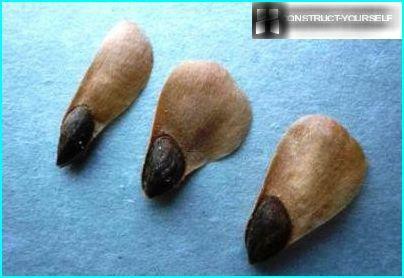 If the winter was snowless, then collectedseeds, divide into 2 parts and one of them immediately vyseyte in open ground. Their priporoshit snow and tempering process will take place in a natural way. On snow trees do not sow. The second part of the house to germinate, and then compare what inputs were more amicable. Make a 1% solution of potassium permanganate (100 ml water - 1 g of potassium permanganate.). Dip into it and disinfect seeds for 2-3 hours. Spread the seeds on a towel or paper and pat dry. Pour into a linen bag. As such, let future herringbone sleep until the spring (and at the February collection - up to the 20 of June). After hibernation seeds need to wake up. To do this, they are immersed in water overnight and the solution of trace elements (stimulator rooting + antifungal drug fundazol). A moist environment will restore the structure of cells and speed up germination. In the morning start landing. For this purpose different methods. You can choose the most convenient, and better seeds divided into equal parts and test each option. So you will see clearly which method is most effective for your particular case and for plants in your area. 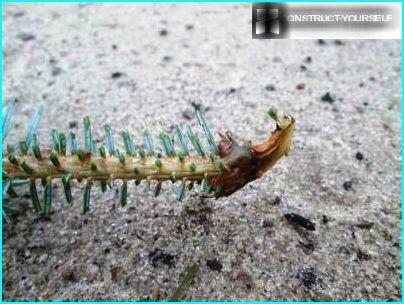 If the spring frosts in April passed - sowChristmas trees directly into the ground. To do this, bring down teplichku and fill it with lowland peat, mixed with coarse sand and pine forest from the ground. You can make complex fertilizers immediately softwood or fertilize later when the shoots come out of the ground. The land of forests - an essential component forgood growth of the oil because it has a mycelium. Mycelium in the real world helps the root system coniferous receive moisture and nutrition, takes harmful substances from the soil. The symbiosis of fungi and the trees are so close that no mycorrhizal fungi build up blue spruce root system sluggish and often die. Expanding on top seeds at a distance of 3-4 cm from each other. Mix peat with pine sawdust in equal proportions and sprinkled with a mixture of seeds centimeter layer. Periodically check the humidity and, if necessary - aerate teplichku. Seedlings appear within 3 weeks. They were thinned, leaving the strongest plant at a distance of 6 cm. Every morning sprayed, but without fanaticism, as excessive moisture will lead to the development of "black feet" - a viral infection which is able to destroy all the material. As such, the Christmas trees are growing year, until next spring. In summer, take care of them from the sun and dryness of the soil. 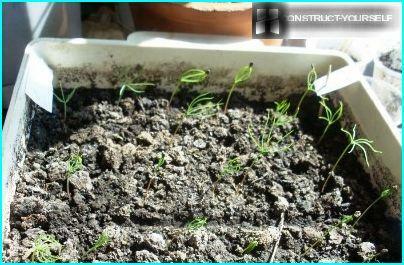 Christmas trees can germinate at home. 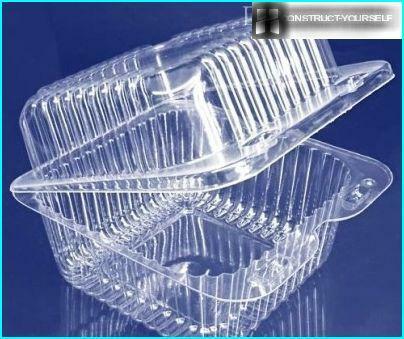 To do this, prepare a wide plastic containers with lids (out of store salads, cookies and so on.) Or planting pots. Fill the container to 2-3 pochvosmesi volume: 3 parts dry sand and 1 part peat. The seeds are scattered over the soaked earth. 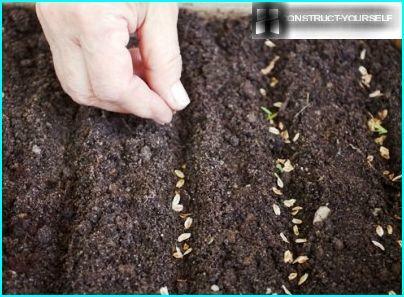 Gently stir the soil by hand or with a fork, to bury the seeds. The lid is closed, and if not - cover the pot and put the film container in a warm place, where not exposed to direct sunlight. As the soil dries carried out spraying. When the sprouts hatch and become visible, tanks reveal that the plants properly ventilated. pots summer bring to the open air, under the shade of large trees, and in the winter returned to the room with a temperature of 10-15 degrees. Planting young plants should be next spring, in May, when the soil warms up. Very unusual but convenient waygermination is considered landing in cigarettes. This option is good for those gardeners who do not have large sills, so the capacity to keep the seedlings nowhere. Cigarette - it's a long tape, consisting of several layers (like a roll). Outer layer - soft substrate from the laminate or other building materials (length - not limited width - 10-15 cm). The second layer - toilet paper or napkins. cover with foil, creating a greenhouse effect, and put in a warm place non-solar. after pipping seed film is removed, and caring for seedlings, periodically wetting the top of cigarettes. in this form of Christmas trees sit until the following spring. 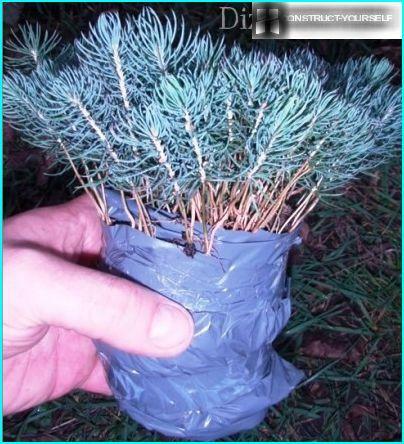 Professional gardeners prefer to plantornamental conifers grafting method to completely preserve the varietal characteristics. 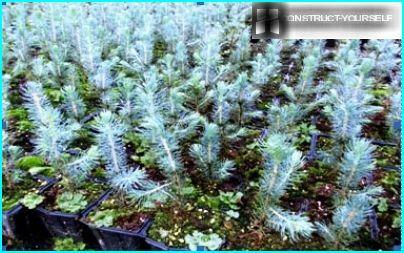 Blue Spruce also be of grafted. This is done in the spring, in early May, when the active sap flow begins in the tree. For grafting using twigs from trees,age from four to ten years. In these trees the maximum percentage of rooting cuttings. To prepare the planting material, you need to find branches with side shoots and gently pull on the cutting length of 2-3 cm 6-10. Tear is necessary so that at the end of each cuttingsave "pyatochku" - a thickening, a remnant of the old wood. It prevents the release of resin capable of cork bottom cell seedlings and block access of moisture into the Christmas trees. That is why softwood cuttings is not a knife, ie not shear and tear. Harvested material on a cloudy day or in the early morning. Plucked sprigs immediately packed in a plastic bag so they will not dry out, and on the same day are planted. If before planting cuttings hold 2 hours rooting stimulator, the herringbone escalate roots for 1.5 months. No stimulants, this process will last for 3 months or more. 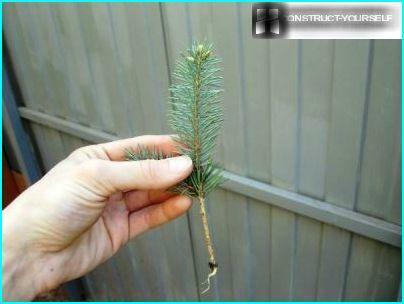 All of the above methods of planting blue spruce seeds suitable for cuttings. Therefore, we will focus here on other interesting options. There are 2 options - germination in the refrigerator or cigarettes. Let's start with the refrigerator. If you manage to pick decorative firs accident, and for planting in the ground is not prepared anything - use the cunning of an experienced gardener. . It should be all cuttings immersed in water for an hour, and then planted in moist sand, buried 2 cm Sand is poured into a plastic bag, to the same - and twigs. Package tie - and in the refrigerator. Need a temperature three degrees. And forget about them for 2 weeks. Next - the usual landing in a greenhouse. In this technique, planting roots appear at the end of the second month. When germination in the refrigerator treat cuttings stimulants, since the degree of survival decrease. When cuttings cigarettes in principle - the same,as in the seed reproduction: substrate + napkins + ground. Just pay attention, that the part of Christmas trees, which will lie on the toilet paper must be cleared from the needles, and the spacing between the plants - 5 cm. pack tightly tie and hang it on the window. During the winter half of the cuttings take root, and in May they will land you in a greenhouse. Optimum temperature - not less than 13 degrees and 10 degrees air soil. To prevent root rot at the bottom of the greenhouse create drainage thickness of 5 cm of gravel and small stones. Blue spruce like a light soil. The distance from the film or glass, which closes the greenhouse, seedlings to - at least 20 cm. The cuttings are planted at an angle of 30 degrees. Bury the soil 1-2 cm. Humidity check on the "ceiling" - large droplets hanging should not only fine dust mesh. It is also important to note that the first month of greenhouse pritenyayut, throwing the top spunbond or burlap to make the sunshine less aggressive. 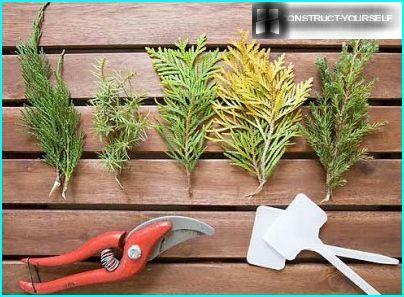 All methods described in the article, suitable forany reproduction of conifers. 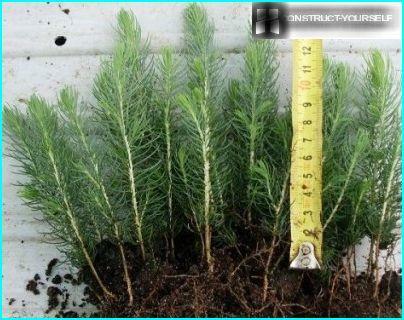 So, starting with blue spruce, then you can grow with his hands a garden evergreen beauties. The main thing - to find the most successful version of germination. And this is - a matter of practice.